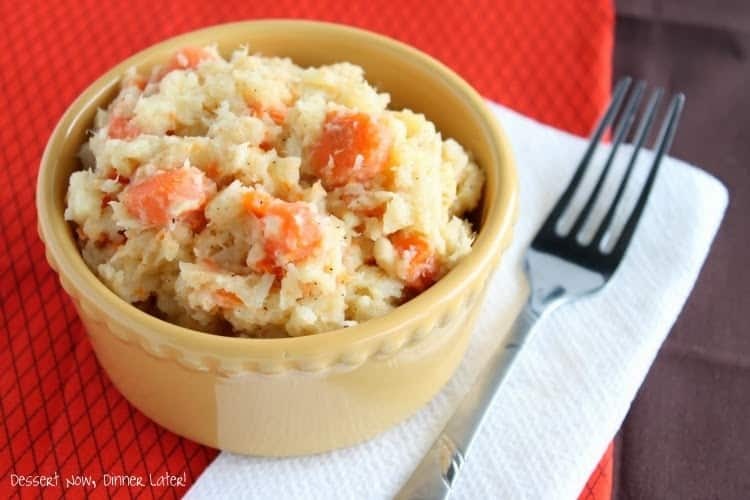 Parsnip & Carrot Mash - Dessert Now, Dinner Later! This post is part of the Healthy Traditions campaign for Squatty Potty. 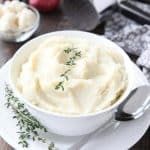 Not only is this dish incredibly flavorful, but it’s a perfect substitute for mashed potatoes, since carrots & parsnips are full of vitamins & fiber. If you are going to swap one food to make your holiday a little healthier, swap the taters for the root vegetables! 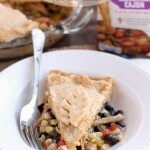 This recipe is part of a Healthy Traditions campaign! You might not know, but a little over 2 years ago I started a weight loss journey. I had my daughter 3 months beforehand & I was weighing in at 172lbs. I got down to 123lbs in about 9 months & have kept it off since. So holidays kind of freak me out. All that hard work & dedication just to pig out during the holidays? No way! But it is hard to not overeat when you are having a good time with family & friends. So I really hope you consider making at least one of your dishes healthier. Peel & dice parsnips & carrots. Place into a large saucepan. Cover with water. Bring water to a boil & cook for 20-25 minutes or until fork tender. Drain water. 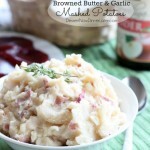 With a potato masher, mash mixture with butter, milk, salt & pepper. Adjust seasonings as needed. You may also add more butter or milk to desired consistency. The parsnips mash better than the carrots. If a smooth consistency is desired, place mixture into a food processor & blend until smooth. © DESSERT NOW, DINNER LATER! All images & content are copyright protected. Please do not use my images without prior permission. If you want to republish this recipe, please re-write the recipe in your own words, or link back to this post for the recipe. So even if you are a regular person, the squatty potty is still great for your health. My kids get excited to use the Squatty Potty toilet stool as well, it’s almost an excuse for them to go to the bathroom. My 4 year old son in particular likes to talk about it. Haha. I just can’t think of a better, simple solution to help your digestive health. This stool is not just for people with ailments associated with poor toilet posture, it’s for everyone. Prevention is a good thing. It’s comfortable, it stores easily under your toilet, & it’s 100% Natural. Humans are designed to squat to eliminate & this Squatty Potty toilet stool mimics that posture (wide stance, slightly raised heals) using the comforts of your own toilet. With a rating of 4.8 out of 5 stars on Amazon & a guaranteed or your money back offer, this is a no brainer. I have loved this product! I have 2 Squatty Potty toilet stools & I have 3 bathrooms & you can bet I am sad when I find myself in the bathroom without my stool! Squatty Potty has more than just toilet stools, they have toilet spray which you use in the toilet before you go for a fresh experience; I am totally giving a bottle to my husband to use at work. There are also colon care pills, which, you can take my word, work like a charm! If you want to learn even more about the Squatty Potty toilet stool & other products, visit Squatty Potty’s Facebook page, or Pinterest account. Check out & follow the Healthy Traditions pin board, while you are on Pinterest, for more delicious & healthy food ideas for the upcoming holidays. You can also check out this other video or the Squatty Potty website for more information. So let’s get to the giveaway! One lucky reader will win their own Squatty Potty & $100 Visa Gift Card that you can use for whatever you want! Since we are talking healthy traditions, you could even use that money to buy some veggies with. How about some parsnips & carrots so you can try today’s recipe. 🙂 Just fill out the rafflecopter form to get entered! 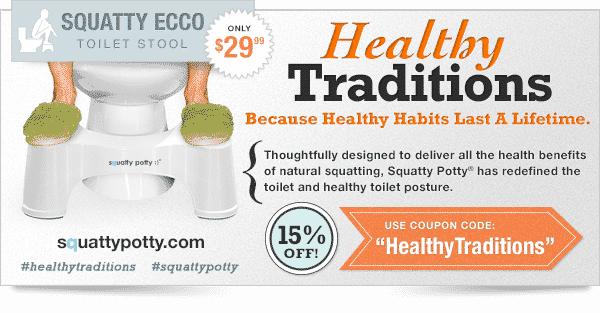 If you just can’t wait to try the Squatty Potty toilet stool, use the code HealthyTraditions for 15% off anything on the Squatty Potty Website. I lived in China for a year and Korea for a year, so I know what you’re talking about here. I’m going to make this recipe too. I like the parsnips. I have a great soup recipe that uses them. 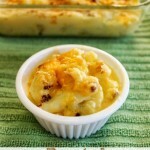 This sounds like a great side dish! Parsnips are so under-appreciated! Looks delicious!